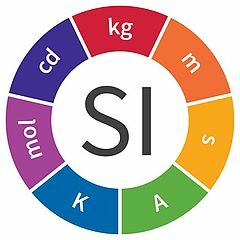 The International system of Units (SI) includes seven base units; the metre, second, kilogram, kelvin, mole, ampere and candela, forming a foundation around which cooperation and collaboration on a global scale can take place. 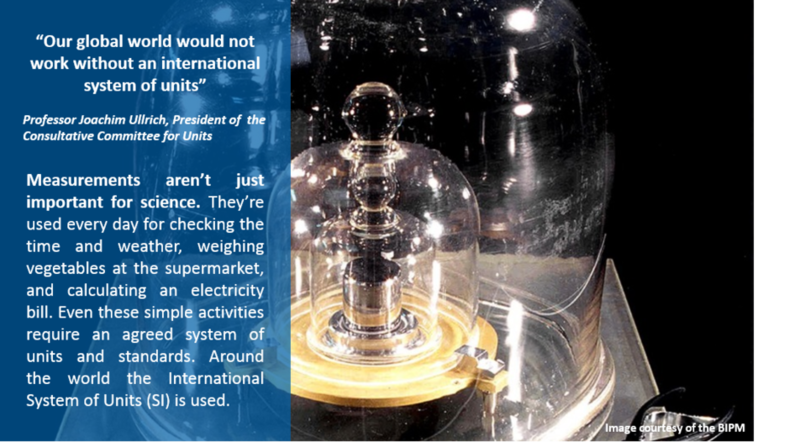 The SI units have been under constant improvement since the 17th Century when a committee of the French Academy of Sciences introduced the first unified measurement system based on the artefacts for metre and kilogram. Recent advances have now enabled scientists to base the SI units entirely on fundamental properties of nature, which will ensure their ongoing refinement and improvement for years to come. On 16 November 2018, four of the seven base units will be put forward for redefinition – the kilogram, kelvin, mole, and ampere. After decades of ground-breaking laboratory work, the world’s scientific and technical community is about to redefine four of the seven base units for the International System of Units (SI). Watch the video below to find out more. Source: https://www.euramet.org/si-redefinition/© 2019 EURAMET e.V. is a non-profit association under German law.